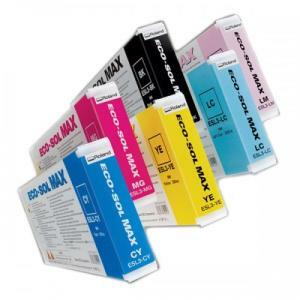 ECO-SOL MAX is a remarkable innovation in ink technology. Building on Roland’s award-winning eco-solvent ink, ECO-SOL MAX features several new enhancements including faster drying time, higher density, wider colour gamut, improved scratch resistance, lower cost per square foot, and broader uncoated media support. In addition, ECO-SOL MAX is virtually odourless, and does not require any special ventilation or environmental equipment. Thank you so much for your excellent products and speedy shipment. Has been a pleasure doing business.